The top three updates are on Model 3 production, Tesla’s cash flow, and Model 3 quality. 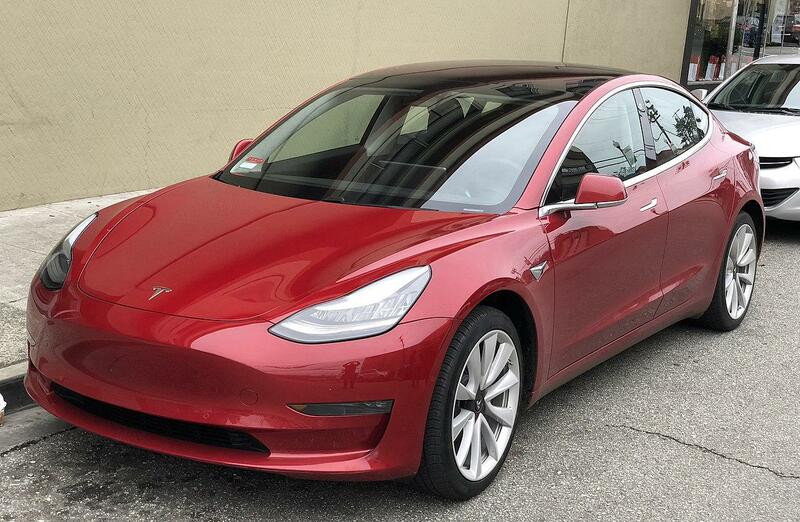 If this rate can indeed be sustained into April and even increased, then Tesla is just shy of its goal to produce 2,500 Model 3s/week by the end of March. Bloomberg’s independent model has production about a month behind that target. For Tesla, a month late is basically on time! Moreover, in light of this update, Tesla might only be a few weeks behind. As always, it bears reminding that this is an arbitrary, self-imposed goal largely designed around motivating employees. It’s not required for any financial, competitive, or technological purpose. A line in the sand just has to be drawn somewhere. Model 3. Photo by Carl Quinn. Tesla continues to target a production rate of approximately 5,000 units per week in about three months, laying the groundwork for Q3 to have the long-sought ideal combination of high volume, good gross margin and strong positive operating cash flow. As a result, Tesla does not require an equity or debt raise this year, apart from standard credit lines. Boom! That’s what I love to hear! Barring further delays, Tesla is about six months out from achieving massive positive cash flow from Model 3 sales. If targets are met, Model 3 will generate quarterly revenue on the order of $ 3.25 billion and quarterly gross profit on the order of $ 810 million. (That’s assuming a $ 50,000 ASP and 25% gross margin about a quarter after a 5,000/week production rate is achieved.) Previously, Tesla has guided that it will post sustained operating profits starting by the end of 2018, with a possibility of net profit before 2019 as well. Based on my own review of the numbers, I think that Tesla’s cash “crunch” is being exaggerated. There are aspects of Tesla’s finances that are opaque to outsiders (such as the composition of accounts payable), however, so it is encouraging to get confirmation from Tesla on this. Here’s the basic math: As of the end of Q4 2017, Tesla had a cash balance of $ 3.37 billion. In Q4, it burned $ 277 million. At that rate of cash burn, it wouldn’t run out of cash until the beginning of 2021. Several one-time factors contributed to cash burn for Q4 being so low, such as customer deposits for the Tesla Semi and next-gen Roadster. However, there were repeatable factors as well, perhaps most notably slowing discretionary capex. Tesla can slow expansionary spending to be in line with growth in revenue and gross profit. This makes particular sense when it comes to the sales, service, and charging infrastructure for the Model 3 fleet. We’ll have more hard data in about a month when Tesla releases its Q1 earnings. The key here is the threshold beyond which Model 3 production goes from a net cash incinerator to a net cash generator. If all goes according to plan, by the end of this year, Tesla will likely have the ability to have positive free cash flow. However, that doesn’t seem to be the plan. From the sounds of it, Tesla wants to finance capex for Model Y, Semi, Roadster, Solar Roof, Powerwall, Powerpack, and future products with debt and perhaps even equity, plus other sources of cash like customer deposits and securitizing leases. Note that Tesla says raising cash this year isn’t “required.” That doesn’t rule out raising discretionary cash to fund faster expansion. Tesla has a total of $ 330 million in debt coming due in 2018. Given Tesla’s end of Q4 cash balance of $ 3.37 billion and ramping Model 3 production, $ 330 million is a manageable amount to repay. Heck, Tesla could probably wipe that debt away by collecting Model Y deposits. Because Elon Musk is a rock star. Some convertible bonds to the tune of $ 920 million are set to mature in March 2019. The conversion price is $ 359.87. I can’t predict the ebb and flow of the markets, but it seems well within the realm of possibility that Tesla’s share price will exceed that $ 360 a year from now. If not, with approximately $ 810 million in quarterly gross profit from the Model 3, repayment will be no problem. 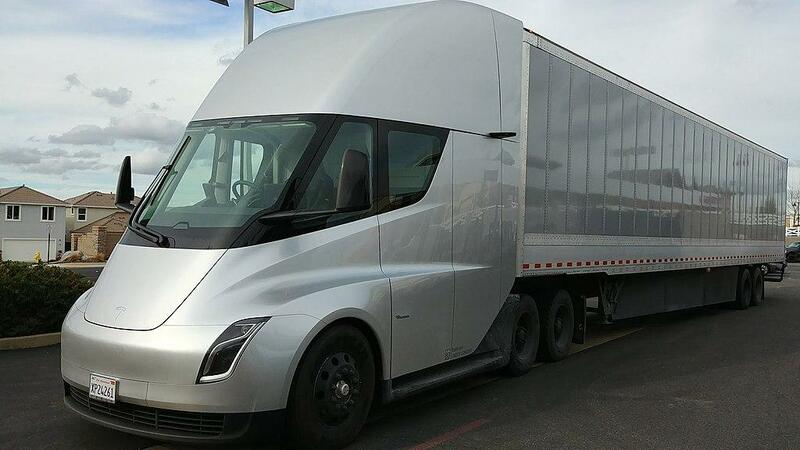 Tesla Semi. Photo by Korbitr. The quality of Model 3 coming out of production is at the highest level we have seen across all our products. This is reflected in the overwhelming delight experienced by our customers with their Model 3s. Our initial customer satisfaction score for Model 3 quality is above 93%, which is the highest score in Tesla’s history. Although this is somewhat encouraging, Tesla is of course incentivized to present the Model 3 in the best possible light. Before I consider this matter settled, I want to see data from an independent source like Consumer Reports. Consumer Reports has yet to publish survey data on the Model 3. So, for now, we wait. What is not particularly informative are anecdotes about Model 3 quality. If you, like me, believe in the Enlightenment values of science and logically rigorous thought, then you’ll agree that anecdotes plucked from large samples seldom reveal the truth and often mislead. Statistics reveal the truth. It is surprising and disconcerting to me that so much investment and media analysis — particularly of Tesla — seems to exist in a pre-scientific, pre-Enlightenment mode of thinking in which fact and conjecture are haphazardly mixed, cherry-picked anecdotes are held up as representative, and rumour and hearsay are credulously accepted. So much of what you’ll read and hear about Tesla is either essentially made up or grossly exaggerated because there is little to no application of Enlightenment criteria of truth. The way I think about companies is to try to approximate as best I can the scientific method. Any way I can remove my own subjective bias is a relief. Hard data is always a breath of fresh air. So is any other empirical test that can serve to falsify an idea. Without scientific discipline, we will inevitably fool ourselves, and wander around in the darkness. So, I don’t consider a photo of a Model 3 with egregious panel gaps to be informative. A photo of a Model 3 with seamless panels is equally uninformative. Ignore anecdotes. Find statistics. For now, we simply don’t know the level of quality of the Model 3. Panic and doomsaying about Tesla may never stop entirely. However, it has taken another step toward demonstrating that it has a sustainable business model capable of long-term growth and profits. A year from now, we will probably be having a very different conversation about this company. I look forward to it.